Some 196 bags containing body parts have been recovered from under the water with 79 victims identified and handed over to their families for burial. "Since yesterday afternoon until today we have not found any more victims and therefore I declare the search and rescue operation is over," Muhammad Syaugi, head of the search and rescue agency, told reporters Saturday. "We apologise to the public, especially the families of victims if during the operation we were not able to satisfy everybody," he added. Rescuers have also retrieved parts of the plane's engines, wheels and seats from the sea. One diver died helping with search. Lion Air has begun paying $102,058 compensation money for each passenger to the grieving families. Indonesian National Transportation Safety Committee has retrieved one of the black boxes -- the flight data recorder -- and is still hunting for the cockpit voice recorder, which recorded the last conversation between the pilot and co-pilot before the crash. The doomed jet was a Boeing 737-Max 8, one of the world's newest and most advanced commercial passenger planes, and there is still no answer as to what caused the crash. The government has ordered a check on all Boeing 737-Max 8 fleets and conducted a special audit on Lion Air management. The transportation ministry has also removed several executives and technical staff from the airline to help with the accident investigation. 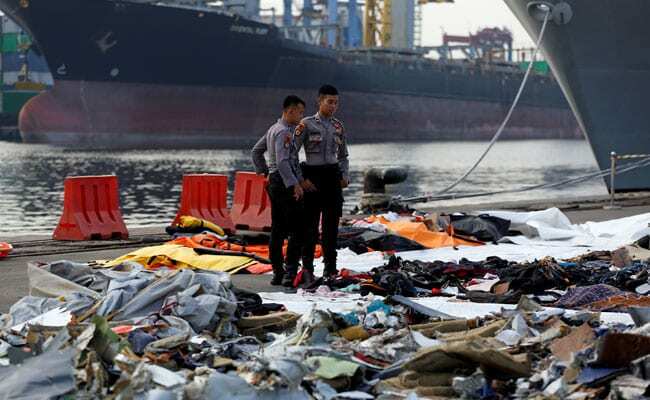 The Lion Air plane plunged into the Java Sea on October 29 minutes after takeoff from Jakarta to Pangkal Pinang city. All 189 people on board were killed and the data from the flight recorder data has so far revealed the plane's air speed indicator had not been working properly on its last four journeys, including on the fatal flight. Following the fatal crash, Boeing issued a special bulletin on how to deal with the erroneous Angle of Attack sensor alert in 737-8 and -9 airplanes.